Actually, there are 14 patches and 2 tie holders. Of the items that have a date, the two tie holders are dated 1967 and the Scout-O-Rama in the upper left corner is dated 1969. 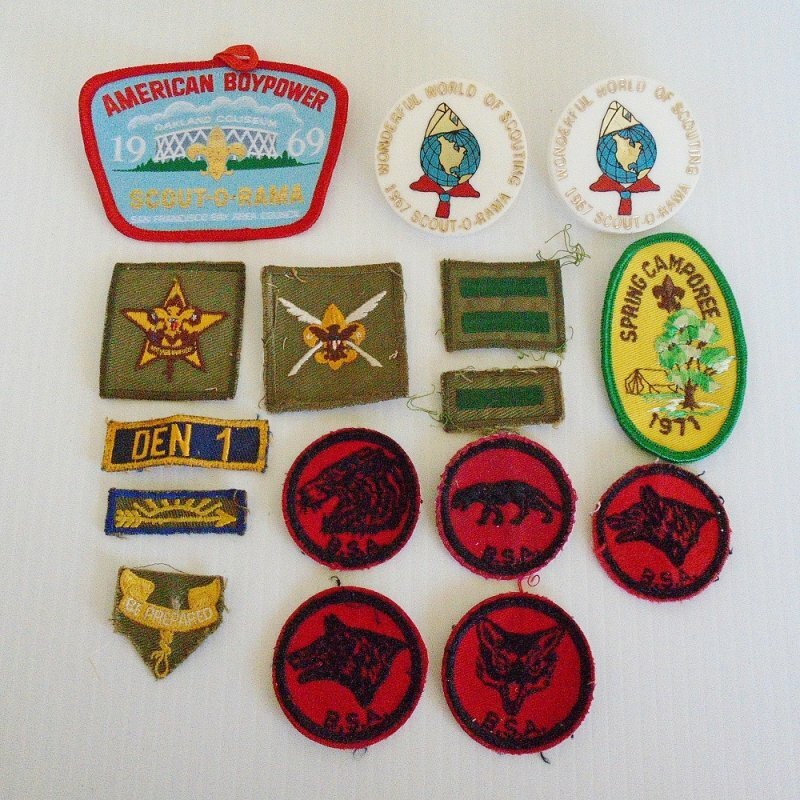 Only the yellow patch on the right is from the 1970s and it is dated 1971. The 2 tie holders (at least that's what I believe they are) each measure 2.25 inches. They say "Wonderful World of Scouting, 1967 Scout-O-Rama". The patches measure between 2 to 4 inches. Since you are reading this, you probably know more about what each patch symbolizes. I obtained them at an estate sale. They were all in a baggie. Most all have little pieces of thread that remained after they were removed from uniforms. Delivery will be via USPS First Class Mail Package. Buyer to pay delivery charges of $3.99.